I bought this at a bead show touted as a lariat/necklace or belt. 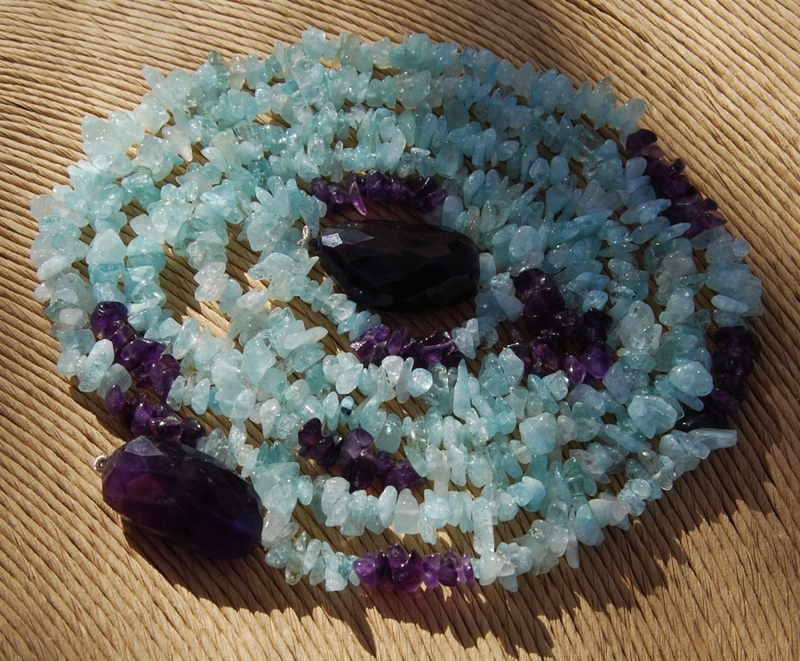 You can wear it "as is" or cut it apart to make multiple jewelry items or one stunning multi-strand statement piece! 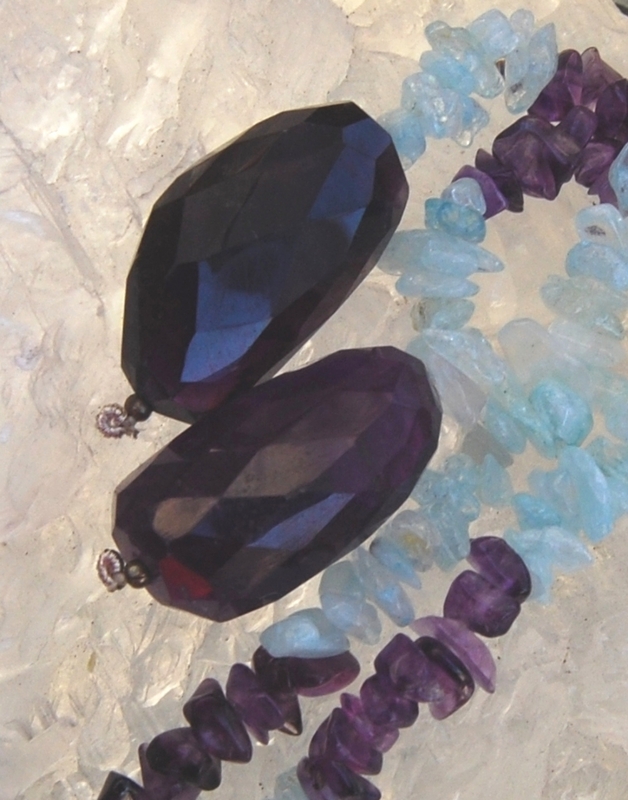 The quartz chips are dyed a vibrant aquamarine and deep purple amethyst color. 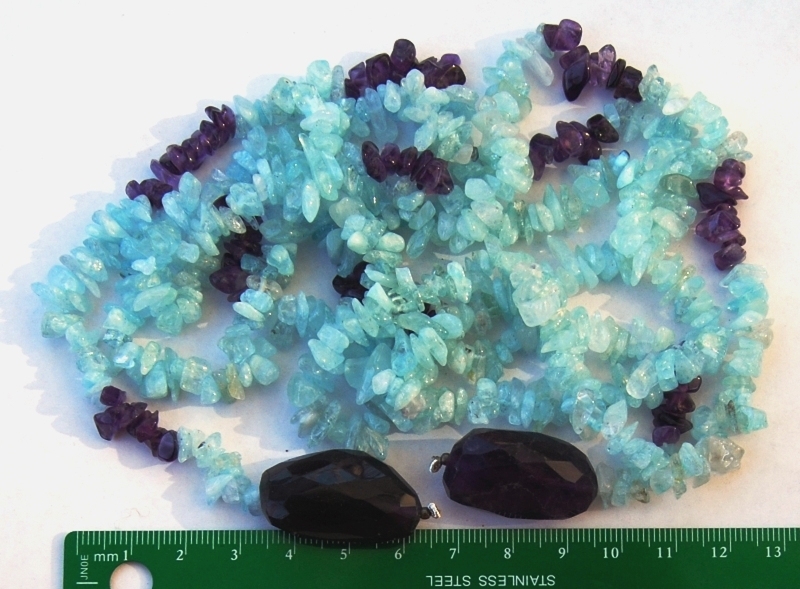 Each end of the "strand" is punctuated with these large faceted amethyst-colored beads measuring about 30x17x10mm. You will receive one (1) 49" strand similar to the one shown (the photo shows one full lariat! ).